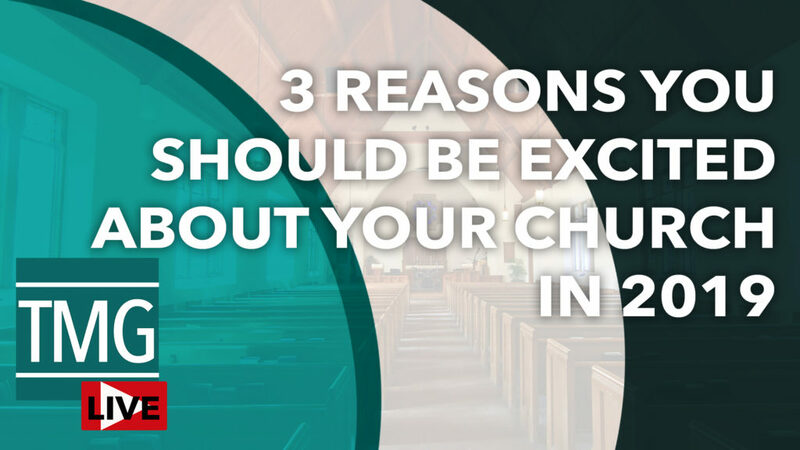 In today’s edition of TMG Live, we are sharing three reasons to be excited about your church in 2019. Our main goal is to inspire and encourage you today. We desire for pastors and church leaders like you to feel like 2019 can be different than last year, that you can break through barriers, and that the path to success is clearer than you thought. Click here to download the journal page that we discuss during the webcast.